Please give a warm welcome to Madison of Minnie Muse. She has an eye for thrifting classic pieces and her blog is such a delight to read. In this post, Madison is going to share with you how to bring your thrifted clothes back to life. I have to say that there is something special about those of us who love thrifting. I feel as if we are connected by a common bond of seeking out unique, one of a kind pieces…..pieces that others have set aside as having no life left in them, yet we seem to find that they still have a good bit of life left to give. I think the true reason I love thrifting is that each item has a hidden story and that is what makes it so exciting! 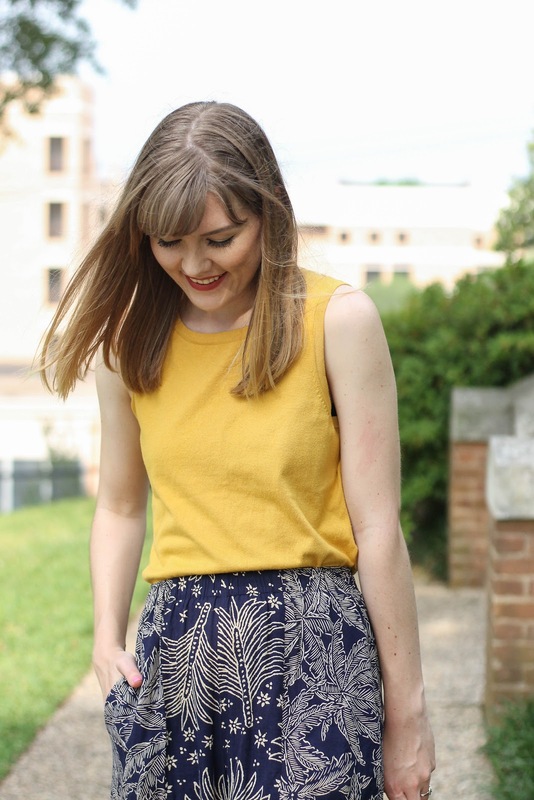 When Hannah asked me to do a guest post, I started thinking about what outfit I wanted to share. I have sooooo many thrifted pieces that I love, but I thought it would be fun to share something a little different. 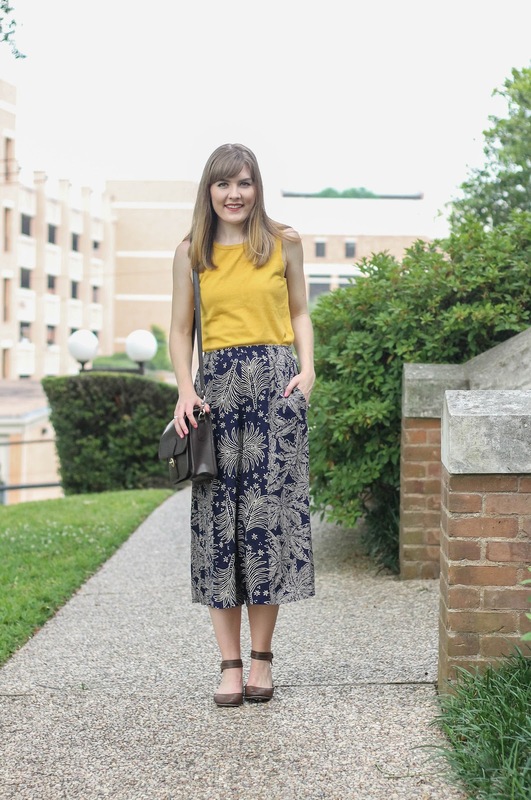 I don’t know about you, but I have totally fallen in love with the whole Culotte trend this spring and this island print pair has quickly become a favorite of mine. 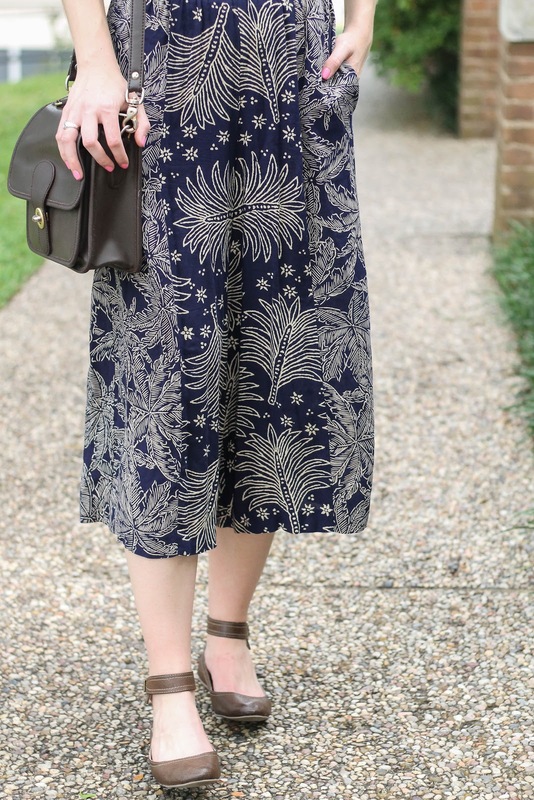 To be honest I have had this pair of Culotte’s for over 3 years (since the time they totally were not in style), but that just goes to show that styles always come back around, which is definitely a perk of thrifting! As someone who thrifts, I find that I am less constrained by the rules and trends of fashion, and more so concerned with creating my own unique and personal style. Thankfully, thrifting gives me an outlet to find those “odd” pieces that others can’t envision wearing, and bring them back to life. If you were to ask my sister, she would be all to thrilled to point out that I get way to EXCITED while thrifting, and in her words, the pieces I find would be considered “grandma” pieces as she rolls her eyes at my giddiness:) Does anyone else act like me while thrifting? I seriously do happy dances in the dressing room when I find a unique piece that is perfect in every way. 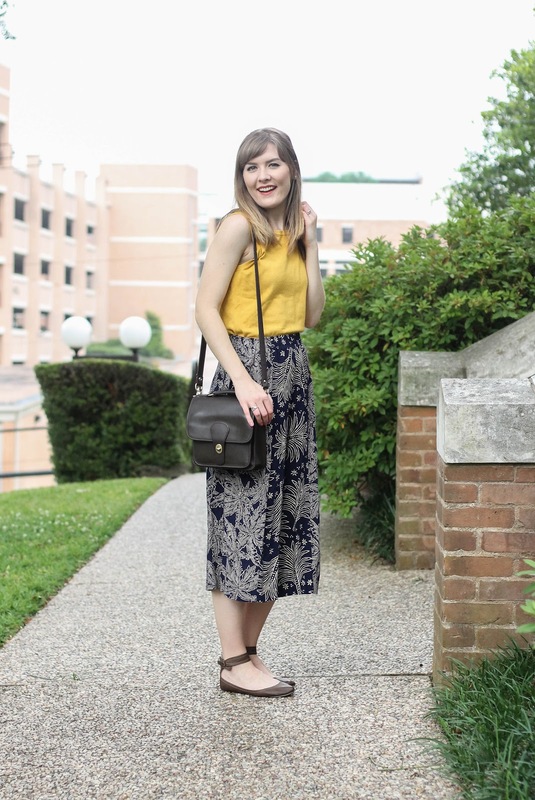 However, back to this unique spring look:) If you go and creep around on my blog you will quickly find that mustard is a color I love to wear on many occasions and get WAY to excited about! 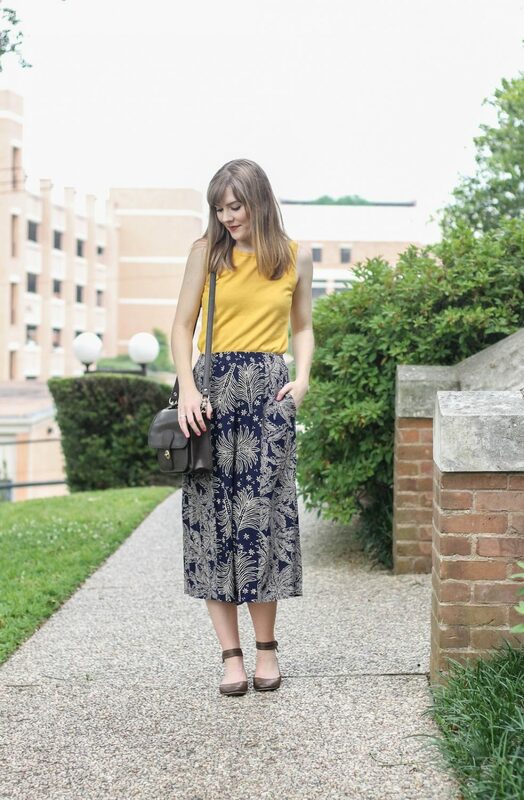 Therefore, when I was playing around with outfit combinations I knew that this mustard sweater top would pair perfectly with these culotte pants, bringing in a POP of color and golden sunny hues. 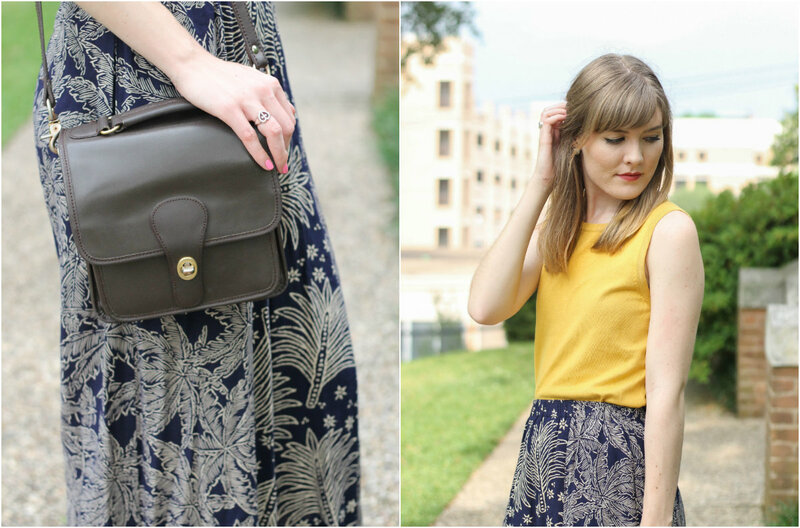 To keep with the simple color palette, I finished off the look with this classic brown vintage coach purse that I picked up at the thrift store (there’s another perk of thrifting for you) and grabbed my brown ankle strap flats to compliment it. This is the first time that I have paired all of these pieces together for an ensemble, but I quite like how it turned out, and let me tell you that it was incredibly comfortable too (which is always a plus, when your clothes feel like pajamas)!